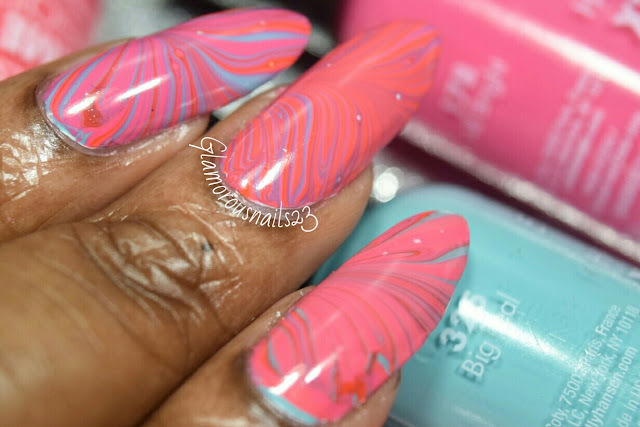 I feel like I haven't done a watermarble in a while and you know that I love watermarble!!. I was actually struggling to find colors that I would have wanted to use to watermarble with. Then I came to realize that I haven't even touched my O.P.I. Mustang Collection. Well I tested out the colors from that collection to see how they would spread and well....as you can tell by the title that didn't go as planned. So I turned to one of the brands which I know I usually don't have problems doing watermarble with, Sally Hansen Xtreme Wear. Let's see how it turned out! I like how the colors ended up looking together. I was aiming to get all the nails to look the same...it kind of worked? Maybe I'll attempt that again next time lol. 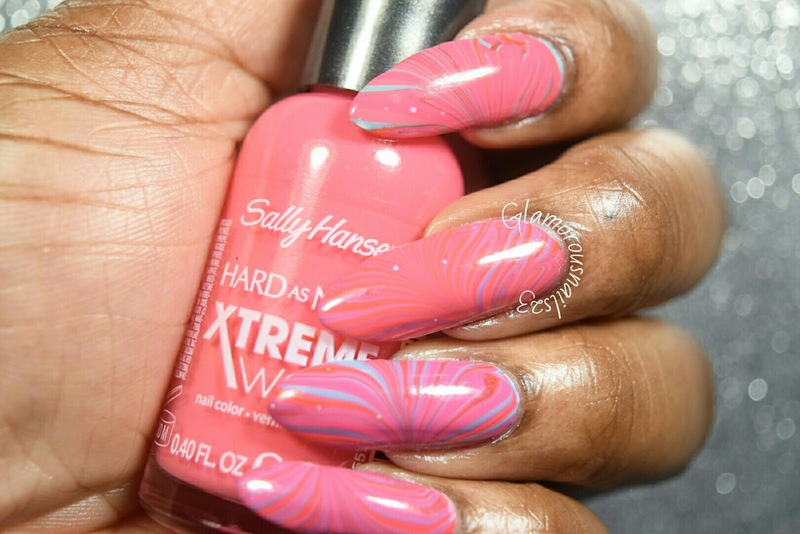 What do you think of this watermarble? Do you like to watermarble? Let's chat below!